Nvidia has released a new GeForce Game Ready driver that is currently available for download. 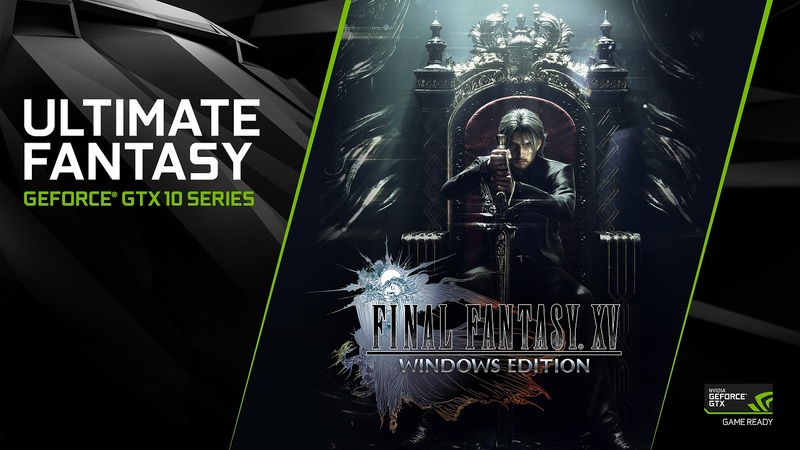 The driver has been optimized for Final Fantasy XV Windows Edition and offers performance boosts for several other games, including PlayerUnknown’s Battlegrounds. Performance improvements range between 3% and 7%, depending on the system, graphics card and resolution. PC gamers around the world have been rejoicing at finally having the opportunity to play Final Fantasy XV Windows Edition (FFXV), as the demo for the much-anticipated game was released today. Nvidia has produced a GeForce Game Ready driver for the latest installment in the beloved RPG series from Square Enix that apparently also offers enhancements for PlayerUnknown’s Battlegrounds (PUBG), Warhammer: Vermintide 2, and World of Tanks 1.0. The American GPU manufacturers presented some specific performance boost figures that should be of particular interest to the millions of PUBG players. In a table of PUBG performance optimizations, Nvidia claims that the new driver (391.01) can provide up to 7% improvement for systems with a GeForce GTX 1050 at 1920x1080 details. That’s quite an impressive increase if the company’s benchmarks are accurate. Another example of a considerable boost is the 7% offered for PUBG gaming on a system with a GeForce GTX 1080 Ti at 3840x2160 resolution. The full list of benchmarks is available in the table below. Obviously the rates will vary depending on the full system configuration. Nvidia achieved these benchmarks on a desktop system that featured an Intel Core i7 7820X @ 3.6GHz and 32GB DDR4 2666 RAM operating on Windows 10.